In 1961 Harry Saltzman and Albert R. Broccoli formed Danjaq together to produce the first James Bond film. The name Danjaq was the first three letters from their wife's name Dana and Jacqueline. Harry Saltzman had an option for the James Bond books that was running out and Albert R. Broccoli used his contacts with United Artists to make sure they had the funds to produce the film and a world wide distributor to make the film accessible to cinema owners. Ian Fleming had tried to get his creation sold to a film or television producer for a long time and the only thing he had managed to sell was the first story Casino Royale that had been made into a one hour live TV broadcasting in the US in 1954. He was in other words also keen on getting a contract signed. Fleming also had problems with a lawsuit at the time and was accused of stealing the story for his latest book Thunderball and a very costly trial was on its way. Therefore the story Thunderball were not able to be included in the contract either. On June 9, 1961 Flemings US agent created a contract to sell the rights to use his creation on film. The contract was quite simple and consisted of three parts. 1. Ian Fleming received $50,000 as a signing fee for the option. 2. When the film went into production Ian Fleming received another $100 000 for the film rights. 3. Ian Fleming would receive 5% of the producers profits. Now it is that third rule that made me write this blog post. I am truly curious to know if the Ian Fleming estate still receives 5% from each Bond film being made or if they at least receive 5% of a the incomes Dr. No makes every year from broadcasting, VHS, DVD and Bluray sales. In that case the Fleming estate is still in truly great shape. Nowadays when you draw up these types of contracts you usually write that "all upcoming release formats are included" making sure to follow the trends and not being left out. 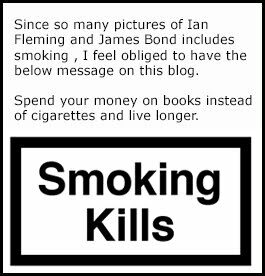 Does anybody know if the Ian Fleming estate still makes profit from the James Bond films? Have they ever comment on this? 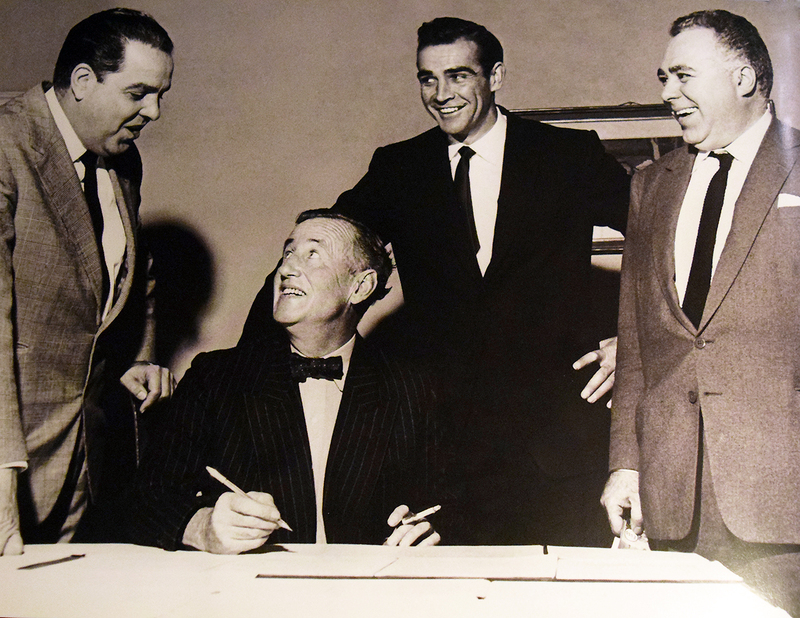 Below is a press photo created to look like Ian Fleming is signing the contract for his creation. In real life this was signed long before Sean Connery was chosen to play the lead.